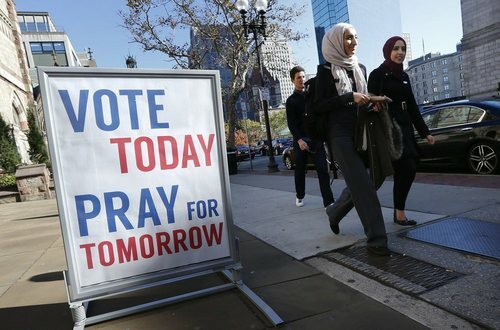 After months and months (and months) of a gruelling, shocking and exciting campaign, the day is finally here: America votes. And though the results are still hours away, we're here to cover election day from a Canadian perspective until a new U.S. president is declared. We've got correspondents joining this blog from around the U.S. and Canada, ready to provide on-the-ground insights, analysis and war stories. We'll also have results and look at what you are searching online in the final hours of the campaign and after the polls close. With all the stories to cover, we've got a full slate of correspondents and contributors who will be doing just that. Plus photos, videos, infographics, Facebook Lives, results and more. No matter who wins tonight, it's bound to be an exciting day. So let's begin. 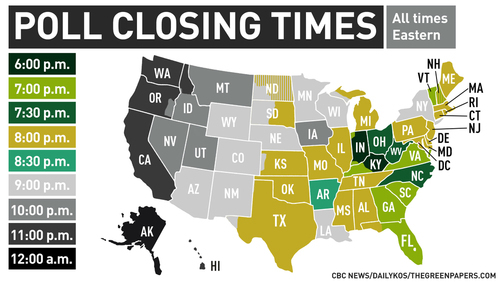 See when polls close from coast to coast. 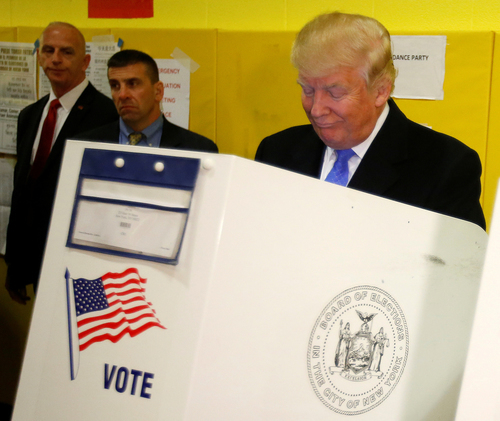 Donald Trump voted in New York City this morning. 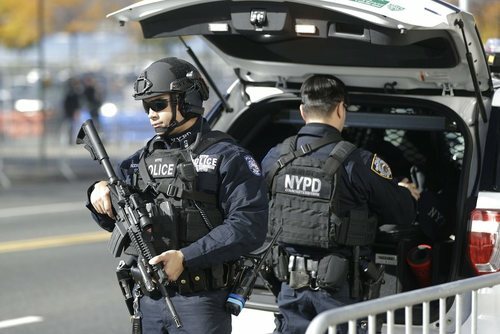 Hundreds of onlookers watched as Trump, his wife Melania, daughter Ivanka, and son-in-law Jared arrived Tuesday morning at their polling place at a public school on Manhattan's East Side. 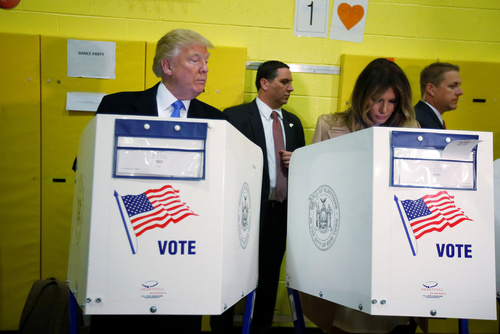 Trump said: "It's a great honour, a tremendous honour" to be casting his ballot. From CBC B.C. 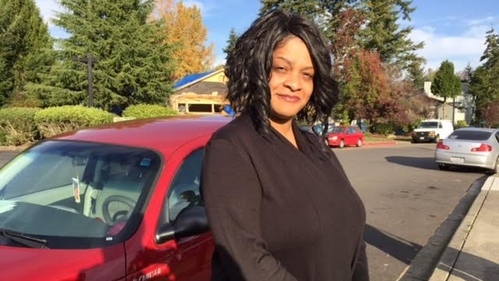 : In Renton, south of Seattle, some families who have relied on a federal housing subsidy for years have received letters of eviction — Toya Thomas, a single mom with three children, is one of them. Analysis from CBC's Mark Gollom: The success of the parties to get out the vote could be a significant, if not deciding, factor in tonight's election. And on that score, it would seem that Democratic candidate Hillary Clinton has an advantage over Republican candidate Donald Trump. 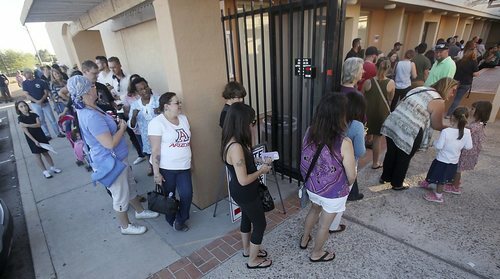 Republican Donald Trump is suing the registrar of voters in Clark County, Nevada, over a polling place in Las Vegas that had been allowed to remain open late last week to accommodate people who were lined up to vote. 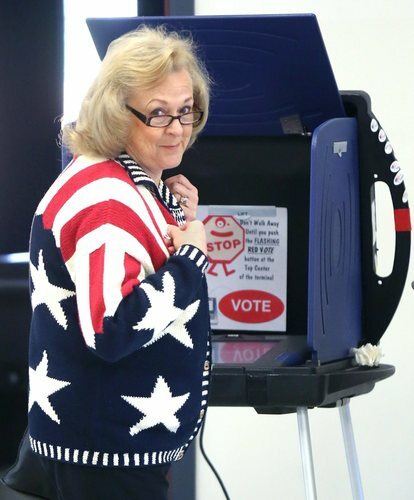 The lawsuit, filed in a Nevada state court on Monday, alleges the registrar violated state law and asked that the ballots from that polling place be kept separate from other votes, pending any future legal challenges to the results in the state. 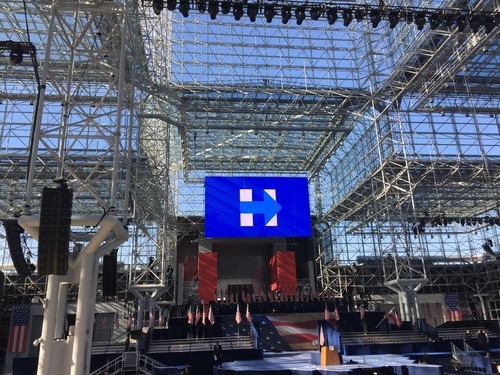 Lots of symbolism in this venue for the Clinton campaign. Daylight is streaming in through the Javits Center’s massive glass ceiling. 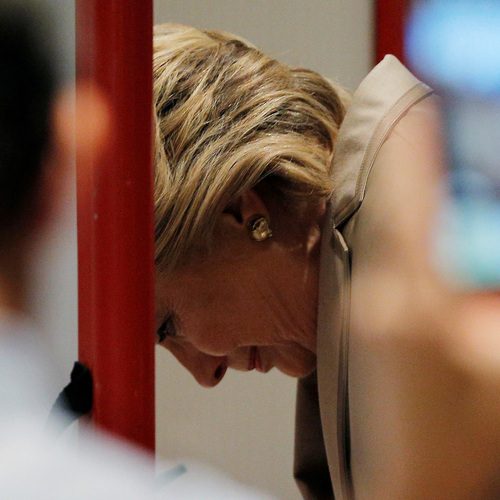 In June 2008, when Hillary Clinton lost the Democratic nomination to Barack Obama she told her followers the “highest, hardest glass ceiling” had about 18-million cracks in it - referring to the number of people who voted for her in the primary process. When Clinton appeared via satellite link in on the second night of the Democratic convention this summer, she was introduced with an animated graphic of glass cracking. 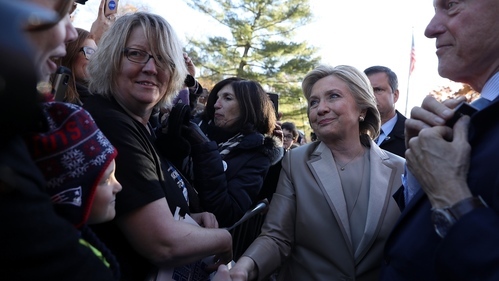 The Clinton campaign has embraced the historic nature of her candidacy far more than in her previous run. In fact, even old controversies seemed to have turned into points of pride. During the 1992 campaign for the White House, Clinton defended her choice to keep working as a lawyer while Bill Clinton was governor, saying: "I suppose I could have stayed home and baked cookies and had teas, but what I decided to do was to fulfil my profession." She was criticized a lot for that comment. In fact, Family Circle magazine started a cookie recipe contest for presidential candidates' wives after the quote made headlines. The contest continues to this day. You know where else the cookie quote showed up? On a huge screen behind Beyonce at a Clinton rally last week. If a baking aversion is a liability for a first lady, the pop superstar seems to think it’s an asset for a commander-in-chief. Analysis: The election ends tonight, but regardless of the outcome, the effects of Donald Trump's controversial campaign will persist. 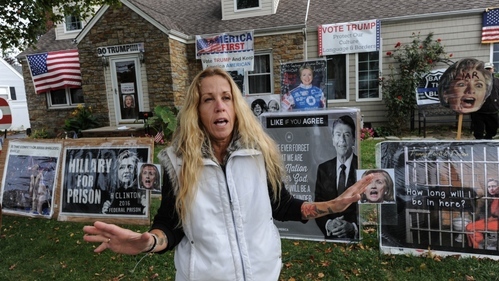 Keith Boag takes a look at the forces behind the controversial Republican nominee's movement. Republican presidential candidate Donald Trump said on Tuesday he would have to "see how things play out" before accepting the results of Election Day, pointing to possible irregularities as he once again warned of a rigged system. "We're going to see how things play out today. Hopefully they'll play out well and hopefully we won't have to worry about it, meaning hopefully we'll win," Trump said in a telephone interview on Fox News. "I want to see everything honest."